As an effort to increase raw water that currently starts to diminish in some residential islands, the Seribu Islands residents are demanded to be active conducting reforestation of their environment.
" 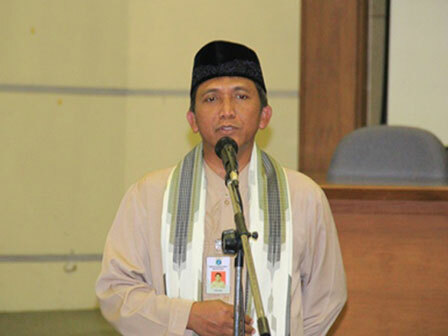 It should be encouraged, as our raw water supply starts to diminish"
"It should be encouraged, as our raw water supply starts to diminish," said Seribu Islands Regent, Budi Utomo, Thursday (9/3). According to Utomo, plants are very good to infiltrate sea water thus it could be consumed. "Sea water infiltration like in Kelapa and Harapan Island could be declined if there are many green plants," he uttered. As known, currently brackish water in those islands is getting decreased. It makes clean water crisis. To prevent such thing happens to other islands, Seribu Islands Administration had conducted reforestation a couple times ago in a burnt land in Payung Island, Tidung Island Urban Village, South Seribu Islands. "We're jointly trying to make Seribu Islands keep clean, beautiful and healthy," he finished.